Skoda Superb information: everything you need to know if you own it, are thinking of buying one or just want to find out more about Skoda’s cut-price limo. Click on the links below for all of CAR magazine’s news, reviews, videos, scoops and spy photos of the Superb car range. We list the top 10 stories for each model – and where appropriate you can click on ‘More’ to browse even more of our archive. The Superb is Skoda’s flagship, a lengthy barge with epic rear legroom and a huge boot. The saloon looks a bit challenging; we’d go for the estate. For more information on the Superb family, click on our further stories on the links below. The Superb is outstanding value for such a big car, it’s almost philanthropic. Space in the rear is hilariously epic – even the tallest of passengers can stretch out without their toes troubling the front seat backs. The boot’s enormous, too. Although the Superb is the most luxurious model Skoda makes, it does lack a bit of premium sheen in the cabin which is largely composed of heavy-duty plastics and anonymous parts bin switchgear. Handles well for a big car though, and it makes a great family workhorse. Or a taxi. Does Skoda’s new saloon live up to its confident name? 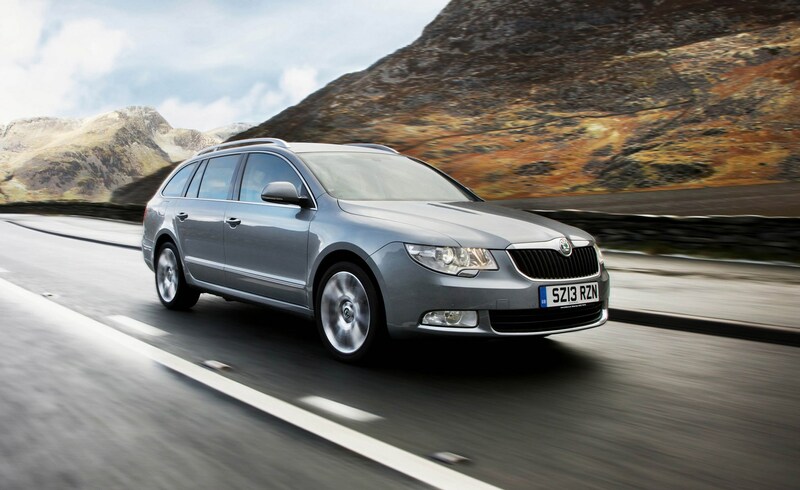 Skoda Superb Estate (2015) priced below £20k: perfect for kitchen sink packers?